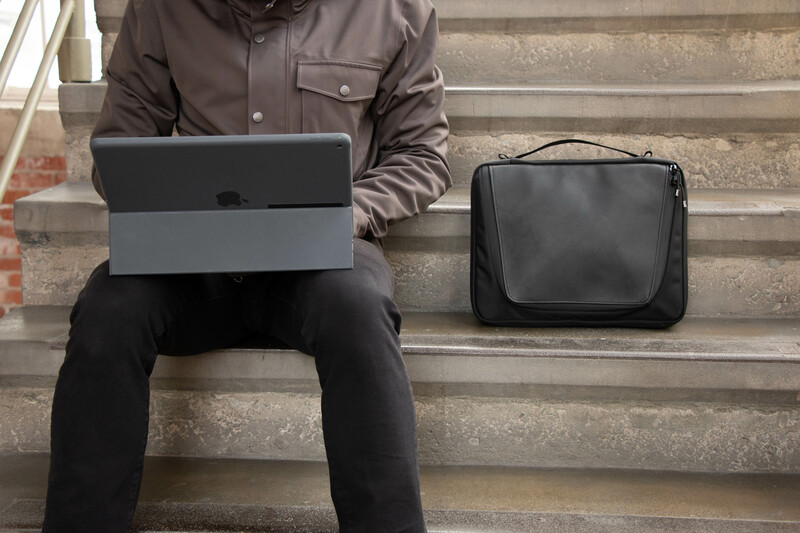 WF launches its third crowdsourced gear case this month — the handsome Tech Folio Plus, a premium business case for specialists who carry significant tech gear every day. 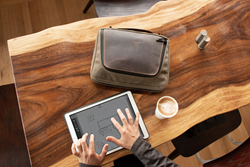 Like the smaller Tech Folio, the Plus is designed for organization, quick access and flexibility. 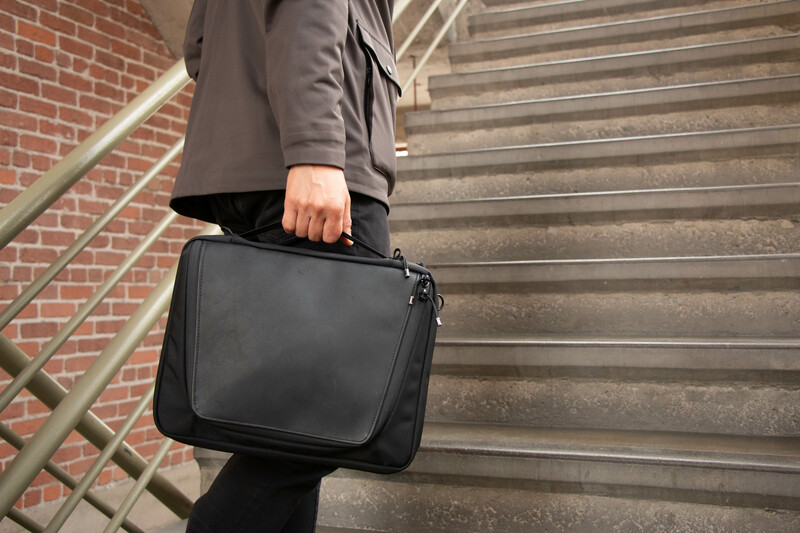 The Tech Folio Plus is organized, flexible, and handsome, it allows people quick access to all their gear, and it fits beautifully into any professional environment. 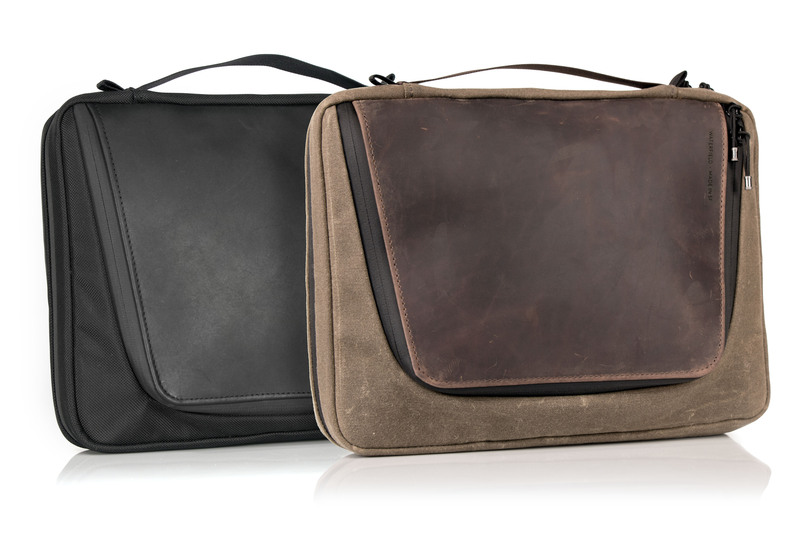 San Francisco’s WaterField Designs, an innovative leader in custom laptop sleeves, bags, and device-specific cases, introduces the Tech Folio Plus, a premium gear organizer aimed to protect electronic accessories and a tablet that IT consultants and specialists in their field carry with them every day. The Plus opens like a book, and its unique pocket storage system holds both bulky and slim items in an efficient, easy-to-spot fashion. 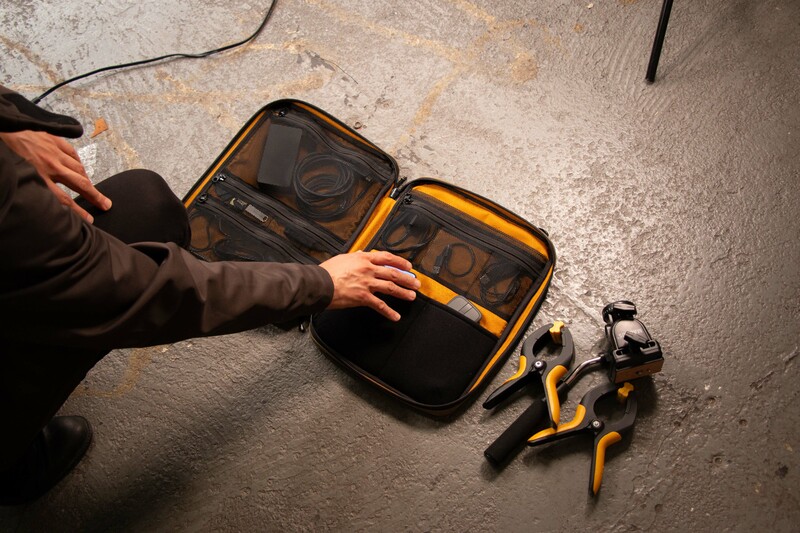 Developed through its pioneering crowdsourced design method, the Tech Folio Plus is the third and most extensive of three gear cases WaterField has announced this month. 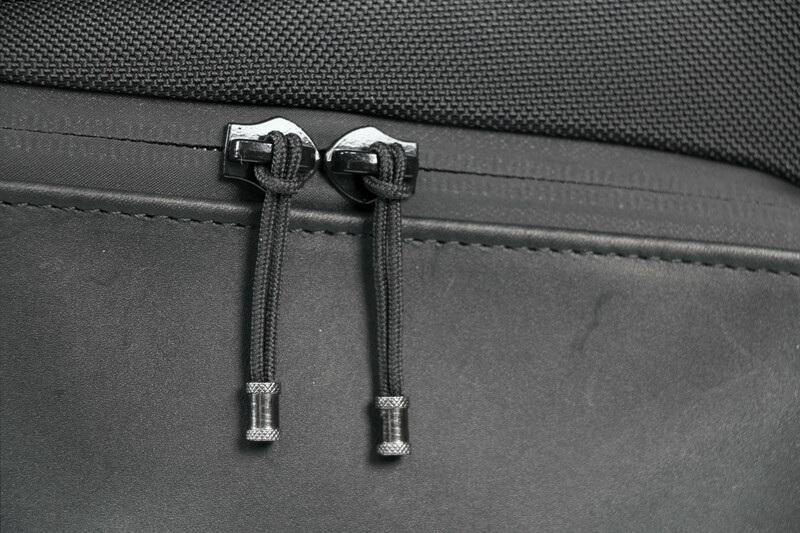 The Folio Plus opens like a book via smooth-gliding waterproof zippers. 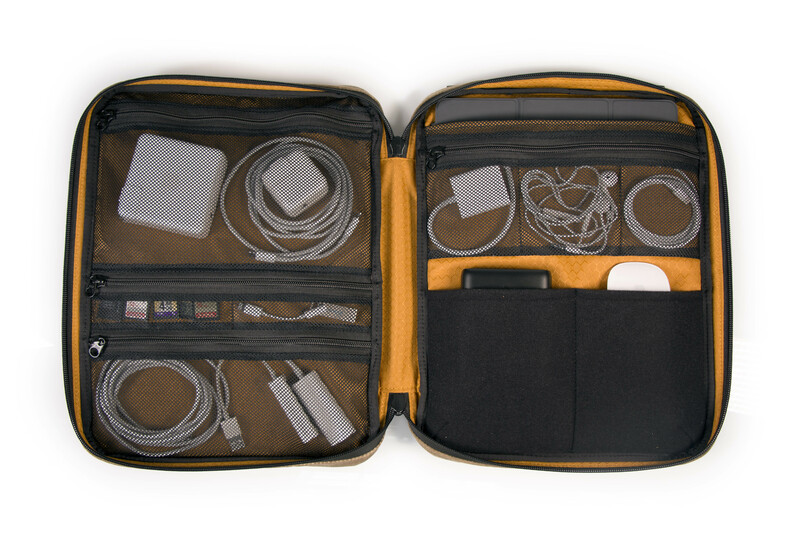 Inside, a multitude of stretch mesh pockets allows users to quickly and easily spot USB cords, dongles, adapters, earbuds, SD cards, flash drives, a headset, a power supply, and more. Cords can be bunched and easily inserted in to the pockets — a significant time saver as there is no need to perfectly coil and strap them in. Two soft, open-topped pockets hold and protect a hard drive and backup battery or other bulkier items including small foldable headphones. 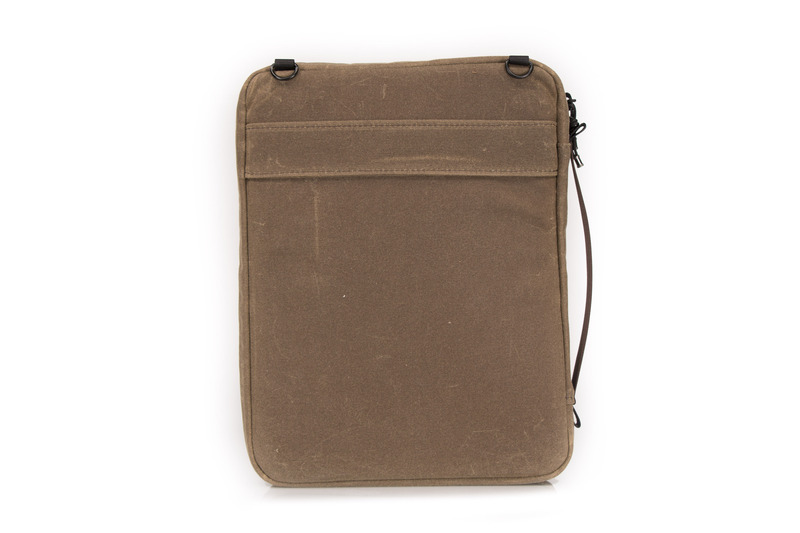 Behind one panel of pockets is a padded tablet compartment that fits up to a 12.9-inch iPad. The front of this new gear organizer sports a premium, full-grain leather flap that lends it a professional look. Rounded waterproof zippers around the flap open to reveal quick-access pockets for a smartphone, the Apple Pencil or Surface Pen, ballpoints, and other frequently-used items. 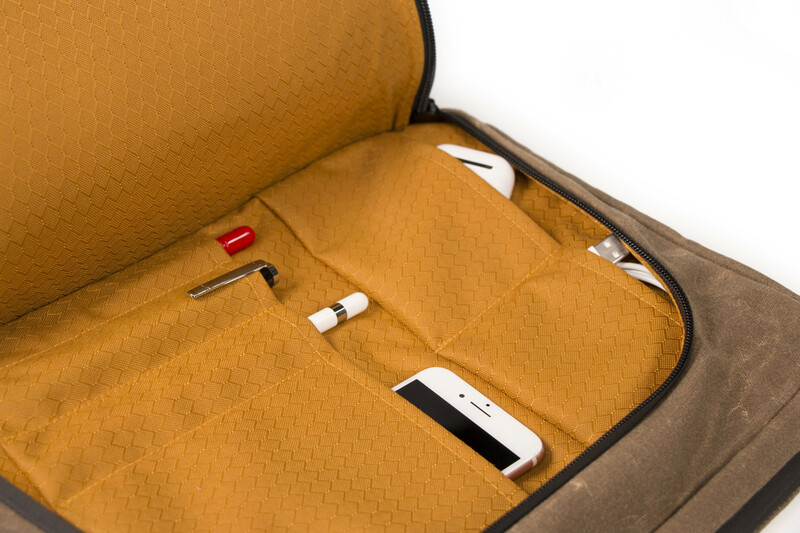 Inside, WaterField’s distinctive gold liner brightens the interior, making items easy to spot. 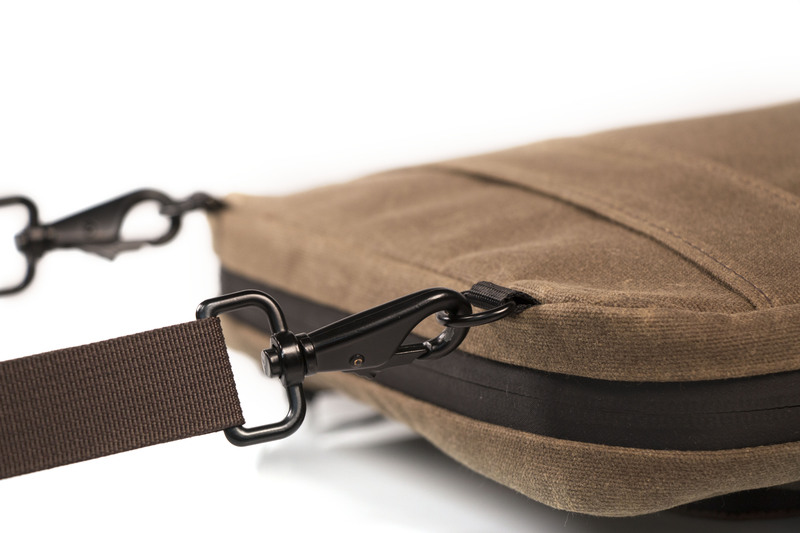 A carry handle and D-rings to attach to an optional shoulder strap allow the case to be used on its own as a small satchel or inserted into the WaterField Bolt backpack or another bag. The Plus is available in sturdy waxed canvas and chocolate full-grain leather for a sporty look, or black ballistic nylon and black full-grain leather for a more classic look. 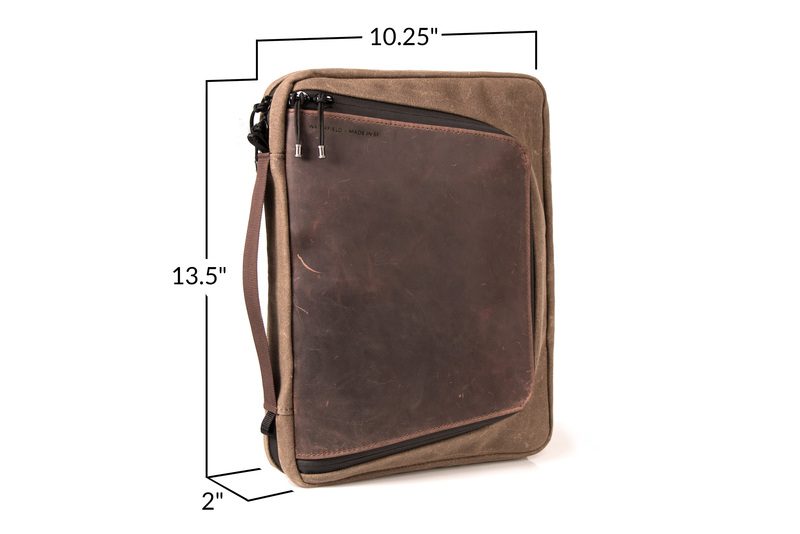 WaterField designed the Tech Folio Plus using its unique customer-collaboration process that results in highly-functional products specifically tailored to address customer needs. After analyzing survey data gathered from hundreds of customers, the company identified the need for three unique cases. It then began to design prototypes, while continuing to gather feedback and to provide project participants with design updates. 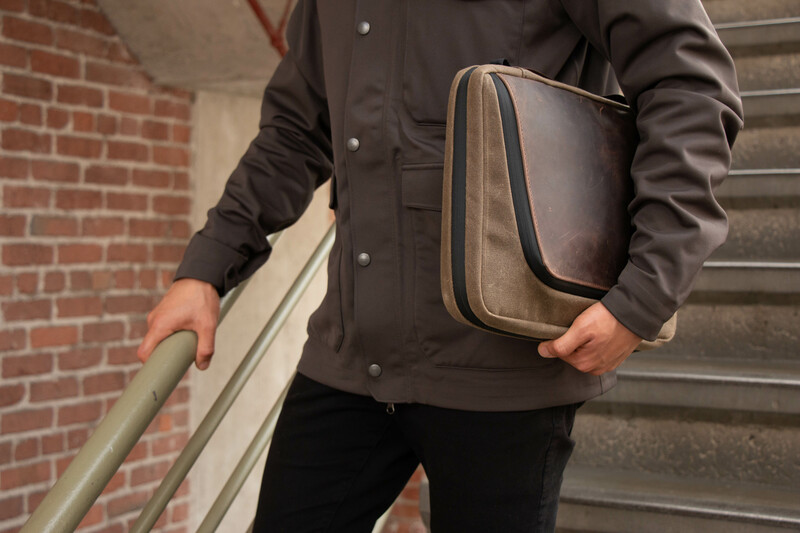 The resulting Tech Folio Plus — WaterField’s third gear case unveiled this month — incorporates details that reflect how people interact with the product on a daily basis. Colors and materials: Black ballistic nylon with black, full-grain leather; or tan waxed canvas with distressed, chocolate, full-grain leather. Pre-order now. Shipping begins August 31, 2018. WaterField Designs is an innovative San Francisco designer and manufacturer of bags and cases for tech-savvy consumers who want to stylishly and responsibly transport their technology. 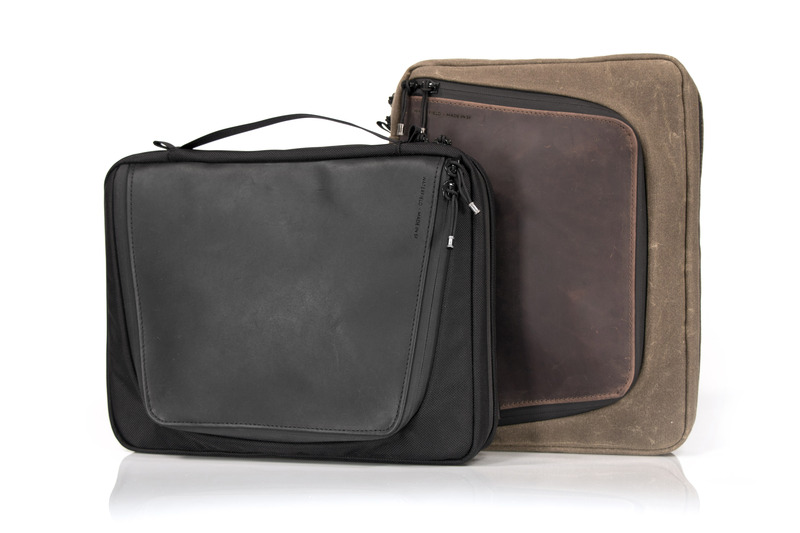 WaterField manufactures custom-fitted, high-quality cases and bags for a full range of laptop computers, smartphones, tablets, gaming devices, and other digital gear. All products are manufactured to exacting standards entirely in San Francisco. More information at "Our Story”. 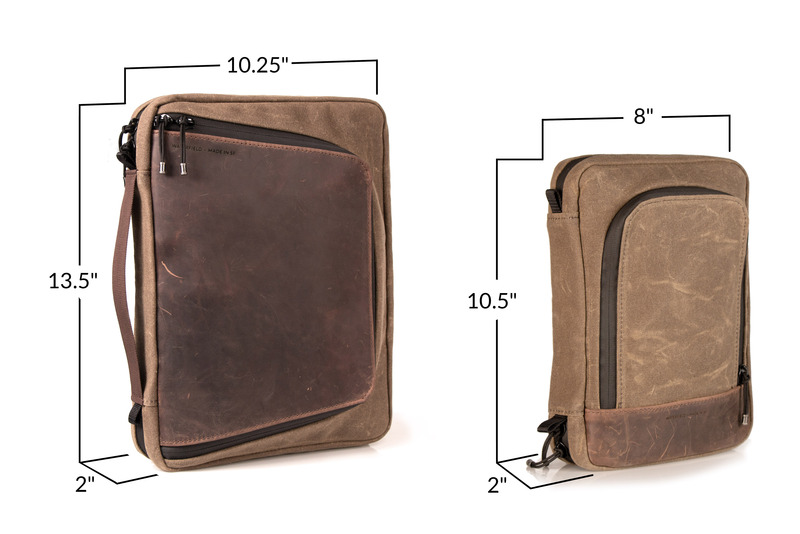 WaterField Designs, SFBags, and Tech Folio Plus are trademarks of WaterField Designs.